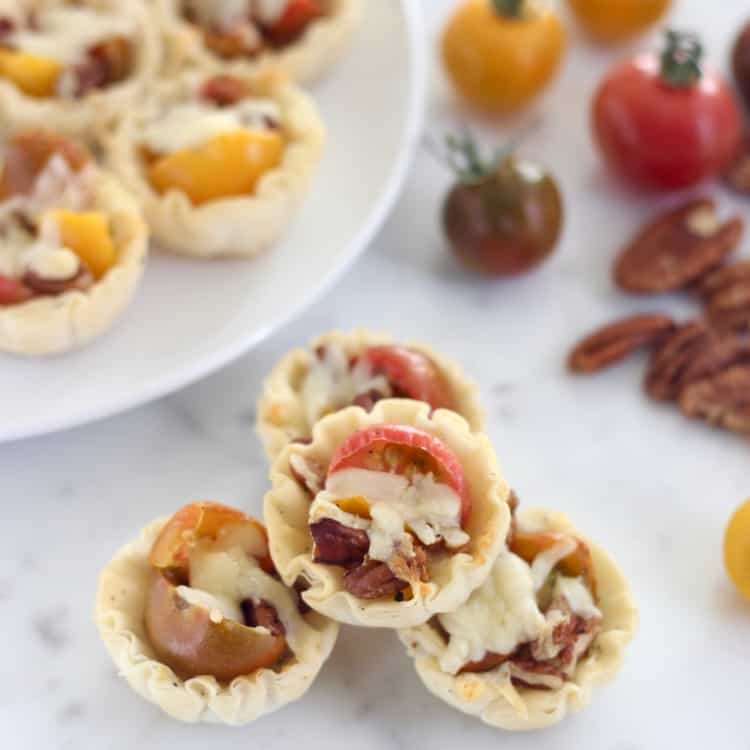 A quick and easy, 7-ingredient appetizer, these tomato pie bites are the perfect hors d’oeuvres for your next summer party! Hey guys! I’m so happy to be able to introduce you today to my RD friend, Meme. She’s one of the funniest human beings I’ve ever met and makes the best blooper recipes videos ever. Like seriously, I die laughing watching these things every single time. She keeps it real in the kitchen being her fun-loving, goofy self and it’s amazing. So if you need an extra dose of fun in your day, head over to Meme’s blog and social channels and start following her asap. Meme also makes the most delicious and down-to-earth recipes and she’s sharing one today that I cannot wait to try. Take it away, Meme! Eating seasonally is something I grew up doing. My parents were always big on getting the best produce that was in season. Berries for $6 in the winter just because I wanted them? That was never gonna happen. First, out of season produce is never as tasty as in-season, and the extra cost is silly when there are other great (but different) options available that season. While I was usually on board with this idea because taste is a major player in why I’ll eat something, I was never really looking forward to tomato season when I was younger. Or to be more specific, when I didn’t know how delicious tomatoes could be. While I grew up in a family of tomato-lovers, I just couldn’t get behind the hype. That is until I had tomato pie. Never had tomato pie? Well, you’re surely missing out. It’s a pie crust covered in cheese, topped with freshly sliced tomatoes, seasoned with salt and pepper, and baked. Tomato pie is pure bliss. But something about making a pie crust or having a whole tomato pie to finish is daunting. Your tomato pie skeptics can taste one and decide whether or not they want another (they will). 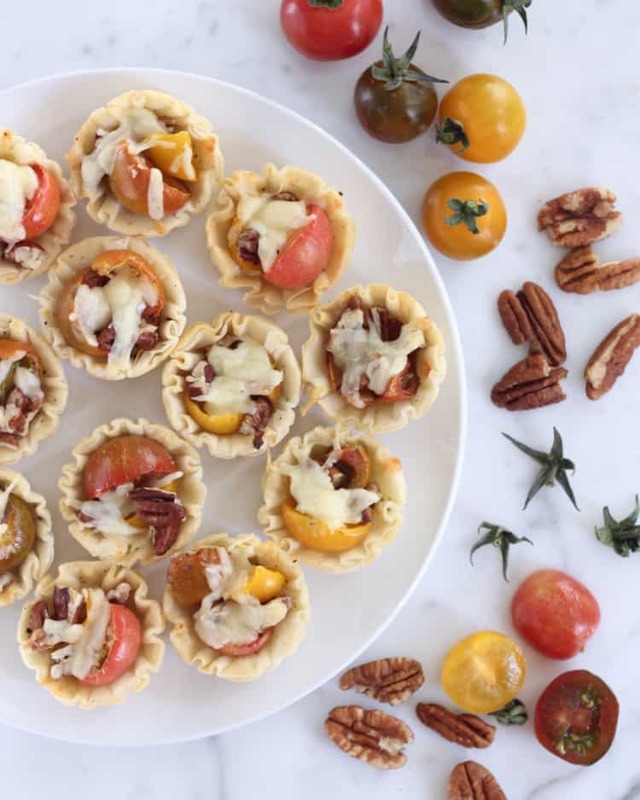 And your tomato-lovers can have lots of delicious tomato pie bites. Something that is extremely important with tomato pie is that you A) cover the tomatoes in salt and drain before cooking and B) you season them well with salt and pepper. Technically, you are adding salt to help them release their juices so really you need only focus on making sure not to forget the freshly cracked black pepper. I promise it makes a difference. Something that is optional but really takes it up a notch is adding fresh herbs. I tried them with and without, and while the herb-free version was good, the version with herbs was better. Thyme and basil will both work. One more great thing about this recipe is that it only has 6 ingredients (or 7 if you use herbs). Perfect for a late summer gathering or early fall party! Preheat the oven to 375*F. Place the mini phyllo shells on a baking sheet and set aside. 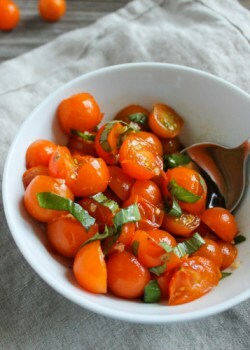 Spread the tomatoes in a colander and sprinkle with 1/4 teaspoon salt. Let drain for at least 15 minutes. Meanwhile, sprinkle the phyllo cups with half of the cheese. Bake for 3 minutes and remove from oven. Place the tomatoes on paper towels, and pat dry. Season the tomatoes with the black pepper and remaining 1/8 teaspoon salt. Place in the phyllo shells. Top with chopped pecans. Sprinkle with remaining cheese. 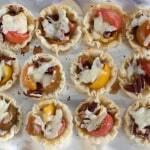 Bake for 12-15 minutes until cheese has melted and phyllo cups are lightly browned. Sprinkle with fresh herbs if using. Enjoy! *I used cheddar to test the first recipe and parmesan to test it the second time. Both are delish! Thanks so much, Meme for hanging out with us today and for sharing your amazing recipe! For more tomato inspiration, check out my recipes below! 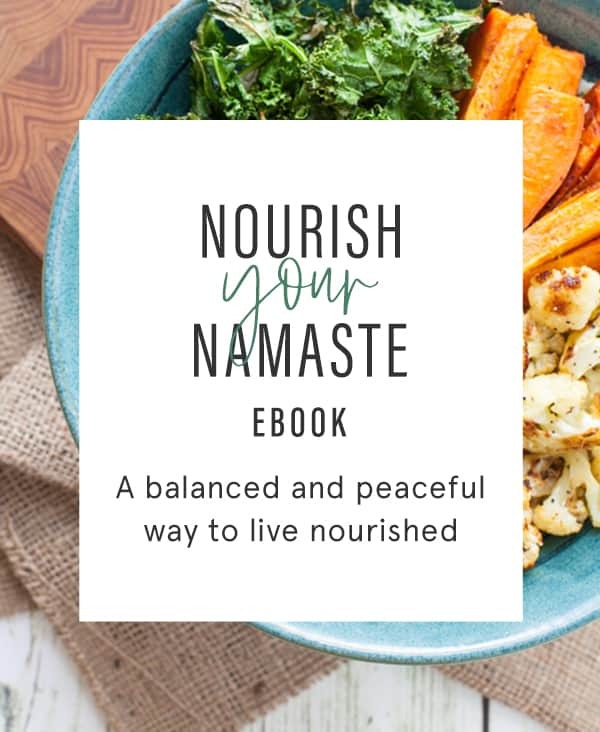 Eating seasonally has become more important to me as I get older – because budget but also because I believe it’s healthier to eat what’s naturally in season. This is such a yummy looking recipe, I love savory snacks! Thanks, Becca! 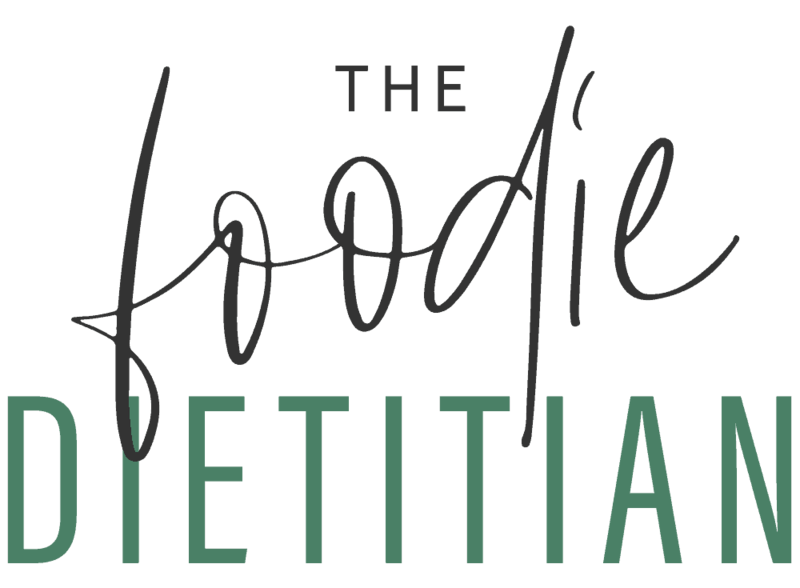 I love eating with the seasons too – it’s also tastier! I am preparing for our harvest of tomatoes. These recipe looks awesome. What type of cheese do you reccomend? Nice! I’d suggest mozzarella. But cheddar would work well too! Meme is hilarious. Sincere, genuine, and a great cook. Loving this recipe for summer. Yes, she is! 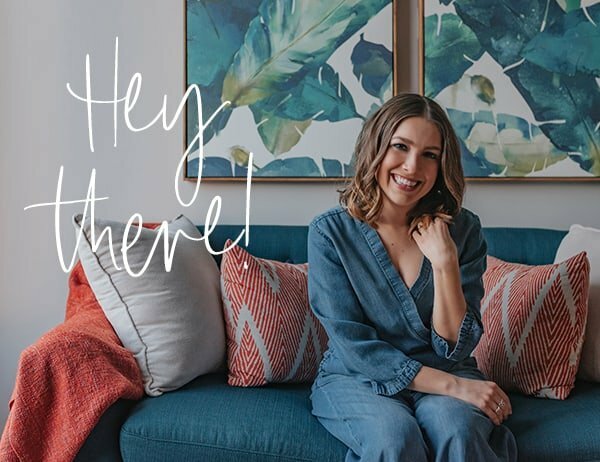 I was so lucky to have her on the blog. I agree with you, Lauren–these look incredible! I can’t wait to try them out soon! I love this late season summer appetizer! Great post ladies! These look so cute – perfect for entertaining! Thank you! I can’t wait to try them out! These are so cute! We’re probably having a Labor Day party and these would be perfect! I love simple, seasonal appetizers that come together in a flash but look and taste like you spent all day. Heirloom tomatoes at the height of summer are the BEST! I totally agree with you, Catherine! 🙂 these look incredible and I can’t wait to try them out! I am a sucker for mini things! These look amazing. 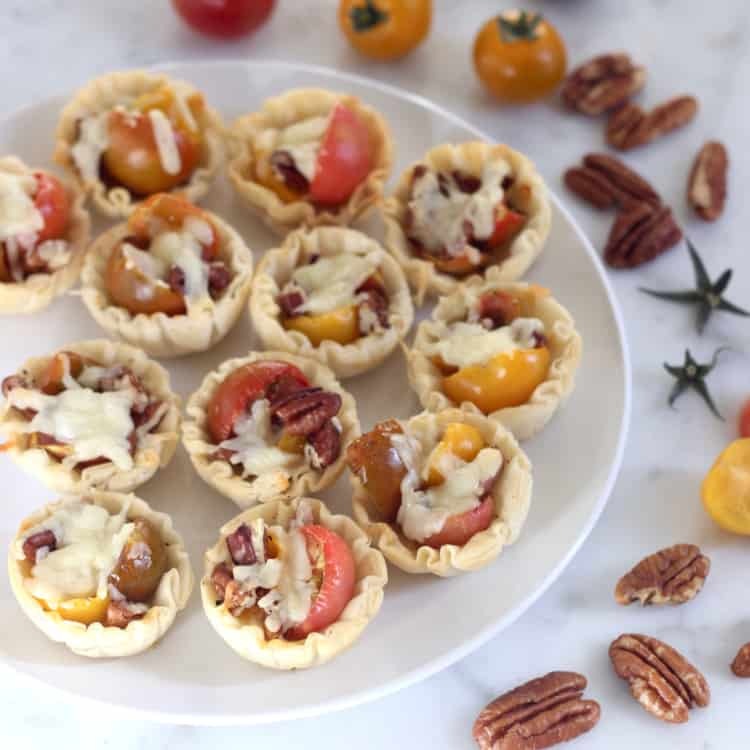 Never would have thought to pair tomatoes with pecans! I agree-Meme is the best! These look so yummy. I was just watching here video on how to make Tomato Basil Nachos~they look SO good too! Hope you’re having a wonderful summer Kara! I’ve never heard of tomato pie, but it sounds delicious! 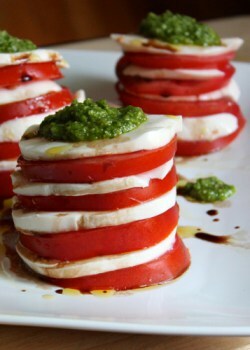 Especially with heirloom tomatoes being so juicy right now, these would be a perfect appetizer or party food! Yes, I definitely agree, Kelli! I can’t wait to try them out!